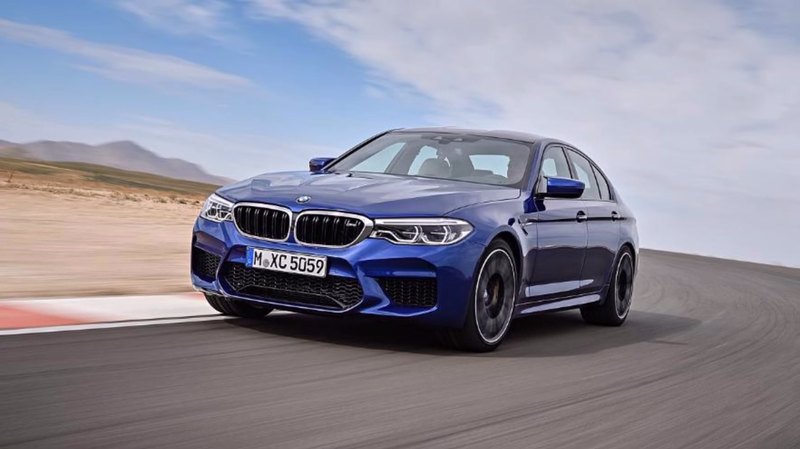 For a car that wasn’t supposed to be seen until tomorrow, according to Autocar, the new BMW M5 has been leaked again and again and now again. This time we’ve got the clearest look yet at BMW’s first all-wheel drive non-SUV M model, and it looks fine. We’ve known the new M5 to be a handsome car ever since we first saw the earliest leaks, so there’s nothing really surprising from these latest photos sourced from a YouTube channel called “return” that uploaded a slideshow. The car was supposed to be officially revealed in just a few hours anyway. Performance specs for the new M5 haven’t been publicly announced or leaked just yet, but there have been teases including a promise of more than 600 horsepower and a lot more torque than the outgoing car from a twin-turbo V8. The new M5 is also supposed to be lighter than the car it replaces, and now offers three driving modes including two four-wheel drive options, as you can see in the pictures. We’ll get a much clearer picture (haha) of what the new M5 will be like to drive tomorrow when BMW finally just sinks the leaky ship and reveals the car. It looks good. I like it in a “it would pass in a Ronin sequel but I’d rather see the old one again” sort of way, though its fascia design does share my nonchalant expression.